Directions: From Grand Lake, Colorado take US 34E via Trail Ridge road. 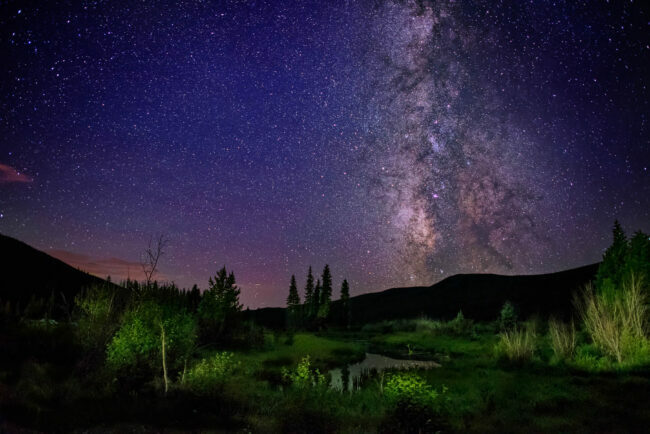 The featured image was shot near the creek from Timber Creek Campground. This is one of the most scenic drives inside Rocky Mountain National park. As the road takes you peak to peak within the park. You need to have Annual pass or pay for weekly pass to enter the road. This entire road is filled with trailhead for hiking, wildlife with visitor center at the peak. 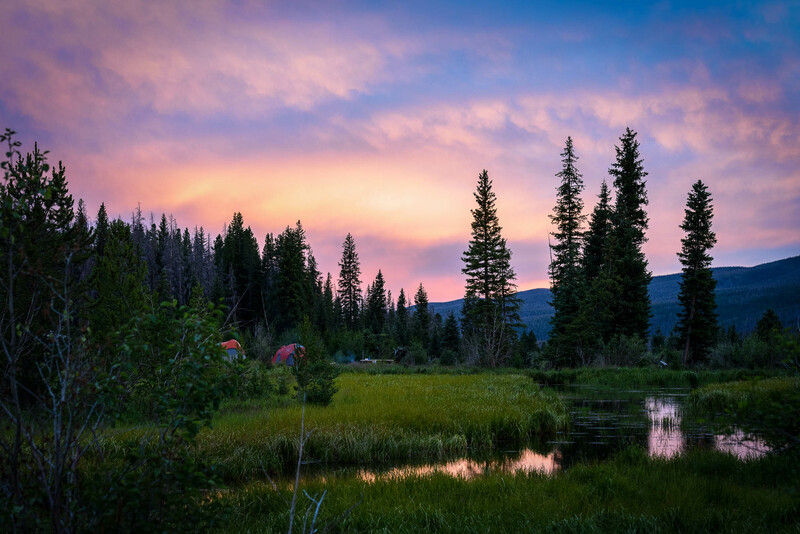 The featured image was shot at Timber Creek campground where we camped overnight and its first come first serve campsite, so arrive early on weekends. 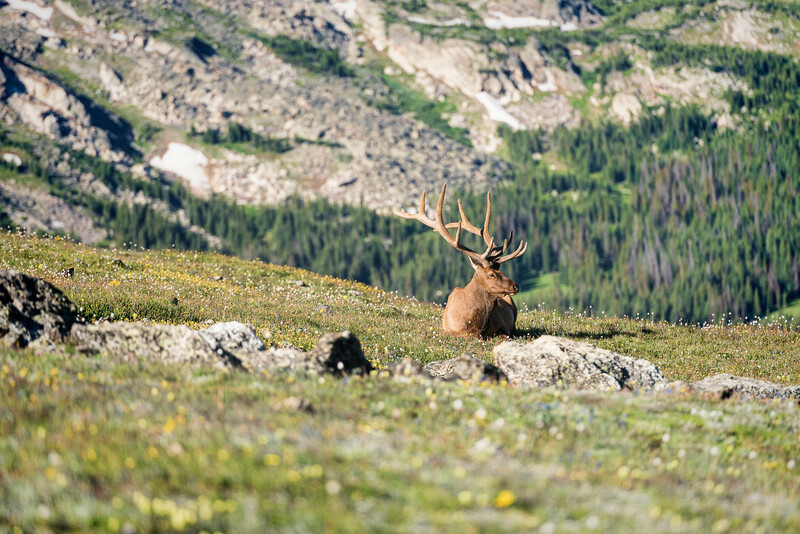 Always be considerate and keep your distance with wildlife, you’re in their territory. No photo is worth losing life by trying to get closer to wildlife. Have Bear spray in your waist or hang outside backpack that you carry. The gear I used are warm clothes and gloves as the night is cooler in lower 40’s during August summer. Tripod is a must for astro, wide angle lens up to 50mm and a fast lens of at least f/2.8. You can get this with kit lens on a star tracker or pumping the ISO higher. Here’s another image I shot using 50mm lens to get close look at the Milky way dust lanes. Use live view to focus the brightest star and do not change that focus for rest of the shooting. 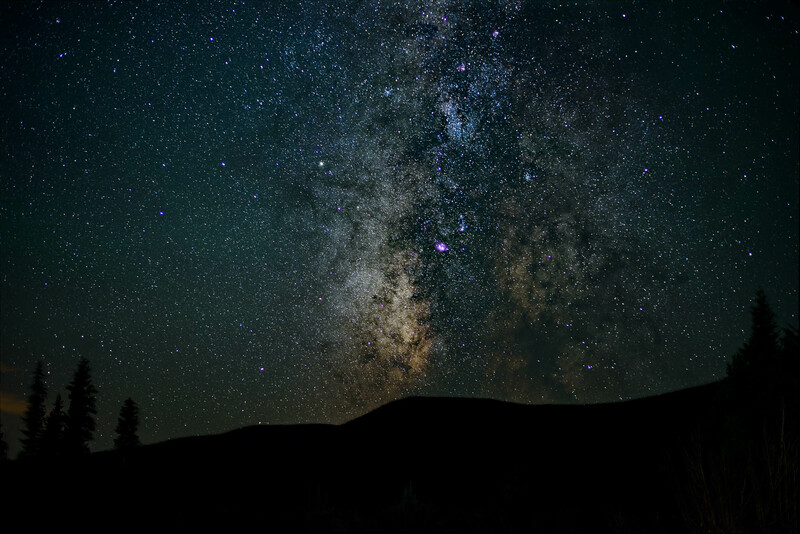 With 50mm lens I could get about 10 seconds of exposure on a Full Frame camera without star trailing. On my 24mm I get about 20 seconds. But if I want to redo I would stop at 18 seconds or else I see some trailing. Sunset from the campground was gorgeous with every minute light was changing, tip is to stay atleast 30 mins after sunset to capture the colors in the sky. As you drive along the highway you will encounter wildlife and there are hikes to reach the peak near visitor center and other areas.